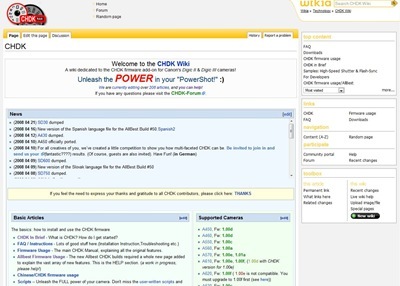 “CHDK is a firmware enhancement that operates on a number of Canon Cameras. CHDK gets loaded into your camera’s memory upon bootup (either manually or automatically). It provides additional functionality beyond that currently provided by the native camera firmware. Too bad, my A540, v1.00b is not supported, yet.